The baby changing unit provides plenty of room to change a child up to 36 months old in both home and nursery environments. It features durable and easily clean surfaces and plenty of storage space for supplies. The baby changing unit also comes with a changing mat included. It is manufactured sustainably in the UK. 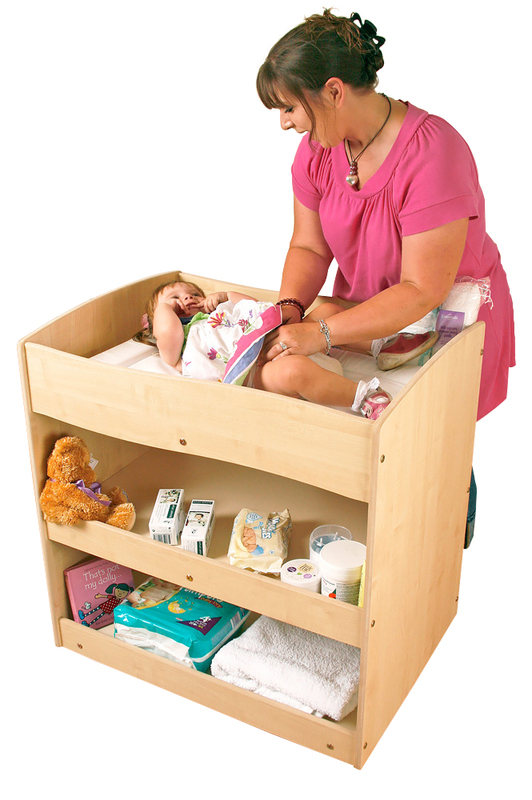 The baby changing unit has a recommended usage load of 15kg and fully complies with all relevant safety standards. The unit is mounted on four heavy duty lockable castors that allow for convenient transport and storage when not in use. Please note: the toys, books and changing supplies featured in the product images are not included with the baby changing unit. Please Contact Us or alternatively call for more details on 01733 511121.